Psychiatry is the branch of medicine that study diagnosis, prevention and treatment of mental disorders. Psychiatry Open Access is a peer reviewed Journal, with rapid publication process. It covers the topics such as stress, anxiety disorders, antidepressants, Behavioral changes, emotions, eating disorders, Phobias, Schizophrenia, Autism Spectrum Disorders, Amnesia, Addiction, Child Sexual Abuse, Child Adolescent Psychiatry, Cognitive Disorders and not limited to above areas. Psychiatry open access publishes articles related to above but not limited to it. All the articles related to psychiatry are published online. Psychiatry Open Access is a global open access journal maintaining high standards of scientific excellence and its editorial board ensures a rapid peer review process. Psychiatry got its name as a medical specialty in the early 1800s. For the first century of its existence, the psychiatry with severely disordered individuals confined to hospitals. These patients were generally psychotic, severely depressed or suffered with dementia, brain tumors, seizures, hypothyroidism and many more we would now recognize as medical. The treatment was rudimentary, often harsh and generally ineffective at ancient times. By the turn of the 20th century, the neurologist Sigmund Freud published theories on the unconscious roots of some of these less severe disorders, which he termed psycho- neuroses. Freud developed psychoanalysis to treat these neurotic patients. However psychiatry soon became in providing this treatment. Thus, Psychoanalysis first became the treatment for psychiatric outpatients. It also created a split in the field, between biological psychiatry and psychotherapy, which continues to this day. By the late 1950s and early 1960s, new medications began to change the efforts psychiatry. Although a well-funded community mental health system never materialized as promised, psychiatric patients with varying levels of symptoms and dysfunction were now treated as outpatients, often with both medication and psychodynamic psychotherapy, i.e., less intensive psychotherapy based on psychoanalytic principles. Psychiatry disorders which are commonly seen are Schizophrenia: Fails to understand the reality and having false thinking, Mental illness: Abnormalities of feelings, behavior and anxiety (may be genetically, physiologically, environmentally), Anxiety disorders: Having fear to be in society when speaking with people and other types of fears as well. Behavioral changes: Based on the behavior of the person related to situations, Phobia: Fear of things (lizards, cats, spiders) or situations or heights (Top of buildings). Stress: Based on the work, life-style, and family pressures. Psychiatry Open Access journal welcomes manuscript related to Clinical psychiatry. Itis a combination of science for applying clinical knowledge, understanding the psychology of people behavior and emotional conditions and relieving patients from psychologically-based mental disorder. Psychological assessment, Clinical formulation, Psychotherapy is also practiced by this psychiatry. Edelweiss Publications Inc is a USA based publisher and journal of Psychiatry Open Access is part of Edelweiss Publications Inc.
Forensic psychiatry is related to criminology, dealing with the legal aspects of behavior and mental disorders. Journal of Psychiatry Open Access publish manuscripts related to Forensic Psychiatry. A forensic psychiatrist includes services like determination of raised issue in order to stand the trial in court and provide treatment like psychotherapy to criminals and medication. Edelweiss Publications has a rapid review process, it tries to publish the manuscript within 4-6 weeks of time after submission. Psychiatry Open Access journal covers broad scope of topics including Biological psychiatry or bio psychiatry. It the branch which deals with recognizing and understanding types of mental disorders regarding nervous system in sense of biological activities. It draws an approach towards interdisciplinary mode of sciences such as biochemistry, genetics, epigenetics, neuroscience, psychopharmacology, physiology to carry out the systematic flow of biological functions of psychopathology and behavior. Edelweiss Publications review process is done by their active editorial board members only, which help in reducing the timeline for publishing the manuscript after submission. Schizophreniais a mental disorder characterized by failure to understand reality and abnormal social behavior. People with schizophrenia often have additional mental health problems like anxiety, depressive. Symptoms include such as hearing voices that others do not, false beliefs, lack of motivation, unclear or confused thinking, reduced social engagement and emotional expressions. These Symptoms gradually begin in young adulthood and last a long life time. Psychiatry Open Access journal invites researcher from around the globe working on schizophrenia topic. Research/review/case reports can be submitted towards Edelweiss Publication journal Psychiatry Open Access. Psychiatry Open Access also deals with Psychological Medicine topic for publishing latest research going on throughout the world. Psychology medicine is related to the aspects of basic science and psychology. This is a branch of psychiatry that focuses on the diagnosis treatment, and prevention of mental disorders in children, adolescents, and their families. It investigates the biopsychosocial factors that influence the development and course of these psychiatric disorders and treatment regarding it. Edelweiss Publications Inc, is running since three years with many more journals related to different science topics. Orthopsychiatry is a branch of medical science concerned with the causes and origins of diseases to treat mental illness and behavioral disorders, not conforming the rules to approach the individualized testing of each patients specific symptoms and diagnosis to attempt an etiologyand then provided with the treatment accordingly by dietary changes, medications are given to enhance quality of life, including combination of nutrients leading to reduce functioning of metabolic activities or eliminate the activity, by this use of xenobiotic drugs is reduced. However the Orthopsychiatry has been rejected by the mainstream medical community. Journal of Psychiatry Open Access like to accept manuscript related to orthopsychiatry. As per our policy at Edelweiss Publications we shall encourage students and researcher to submit their valuable research in our journal and we shall provide them good discounts in the publication charges. For more information on publication charges and instruction for submitting manuscript please click here. Ø Martin A. Katzman is a Clinical Director, researched on START Clinic from University of Toronto, Canada. Ø Maud Low is a Clinical Assistant Professor, College of Nursing, from University of Massachusetts, USA. Ø Evangelos Bebetsos is an Assistant Professor in School of Physical Education & Sport Science from Democritus University of Thrace, Greece. 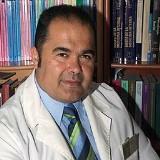 Ø William Bosl is an Assistant professor and Director of Health Informatics in the University of San Francisco, USA. Ø Jeanne H. Brockmyer is a Professor from University of Toledo, USA. Ø Orcun Avsar was from Graduate School of Natural and Applied Sciences of Department of Biotechnology, Yeditepe University, Turkey. Clinical studies related to normal human behavior and all disciplines of psychiatric illness, including physiological, biochemical, environmental, psychological, epidemiological factors and genetic factors. Basic studies applicable to psychiatry in such fields as neuroendocrinology, neuropsychopharmacology, epidemiology, electrophysiology, genetics and experimental psychology. The relationship between cognitive functioning and negative symptoms in patients at clinical risk for psychosis. Connections that moderate risk of gender non-conforming youth and non-suicidal self-injury among transgender. The symptoms of schizophrenia is associated with oxy-hemoglobin concentrations the effects of transcranial stimulations in the brain. Objective: The goal of this study was to compare educational outcomes of medical students who participated in a longitudinal pilot curriculum to those who participated in the existing, traditional curriculum during their third-year of medical school. Method: The authors reviewed clinical evaluations and examination performances of 15 students enrolled in a pilot curriculum to 60 students who participated in the traditional curriculum. The novel Lead Serve Inspire (LSI) curriculum consisted of a longitudinal integrated hybrid of internal medicine, neurology, and psychiatry rotations and didactic instruction spanning nearly four months. Results: The National Board of Medical Examiners (NBME) subject examination class averages of students enrolled in the combined internal medicine, neurology, and psychiatry pilot program were not significantly different compared to students completing these examinations and enrolled in the traditional block rotations during the same time period. This article reports on the implementation of a local pioneering psychiatric nurse-led service that was designed to address the unmet mental healthcare needs of adults residing at older adult homes. It also describes features of potentially wider relevance to nurses interested in developing healthcare service for other underserved populations. We highlight the view that the crux of developing a successful service involves understanding existing service gaps, grasping the pulse of changing healthcare service policies, involving relevant stakeholders in the planning process, validating service outcomes, and seeking support from management. A central goal of the service was to enhance the accessibility of mental healthcare services to people with unmet needs. This model of service is preferred by service users (both the care providers and the residents in the older adult homes), is efficient in terms of providing prompt psychiatric nursing interventions, is able to supply primary care providers with practical advice in response to their enquiries, and helps primary care providers to detect and manage the mental healthcare needs of older adults. Clean dieting trends are increasingly spreading worldwide and being very popular. Researchers and clinicians are very interested in a situation (orthorexia nervosa) that individuals restrict their diet according to the quality of the food consumed. There are several similarities and differences between orthorexia nervosa and eating disorders. While patients with eating disorders focus on food quantity, orthorexic individuals focus on pure and quality of food. Orthorexia nervosa is not weight loss fast but enormous phobia about eating only clean and pure foods. Orthorexia nervosa should be classified as a new eating disorder or at least a new neuropsychiatric disorder. Further studies about nutrional, cognitive and eating habits of ON have to be done in order to determine clearly the hypercorrect position of orthorexia nervosa. Teenage suicide rate in Fiji is increasing every year. This paper examined on the factors that lead to students suicide in Fiji as well as the schools roles in preventing suicide attempts. Based on this study, the researchers found out various causes of student suicide in Fiji. Parents and teachers are involved in curbing this problem. Several factors that cause student suicide are identified during data gathering. A structured questionnaire was distributed to the 20 participants of the University of Fiji. The study can help guide the development of campus-based prevention programs at the university.